Are you looking to invest in a property that will keep bringing you income? A landed property could be what you need. Since landed properties require the investor to own land, they are much more valuable in the long run. Usually, landed properties are freehold where the property owner possesses the title deed. However, you can get a deal where you can get a lease for 99 or 999 years on your property. Land in Singapore is a scarce commodity, hence owing one considered success. Due to the high demand and low supply of land in the country, owning a landed house in Singapore is a profitable venture. Strata houses came into the Singaporean property market in 1993. They require a strata title. Strata houses are also known as cluster properties because several homes share a common land. Like condominiums, the properties have private parking areas, gyms, and swimming pools. These types of homes do not share walls with any other houses. In other words, the properties are standalone. Buildings that house shop houses are several stories high. The bottom floor usually consists of shops, while the upper floors have residential houses. These types of homes are a staple of Southeast Asia. Good house bungalows are identical to detached houses. However, your landed property in Singapore has to be on a piece of land not less than 1400 square meters. Another condition is that the properties also have to be in upmarket areas. These houses can fit several families and have ample parking spaces for up to four cars. 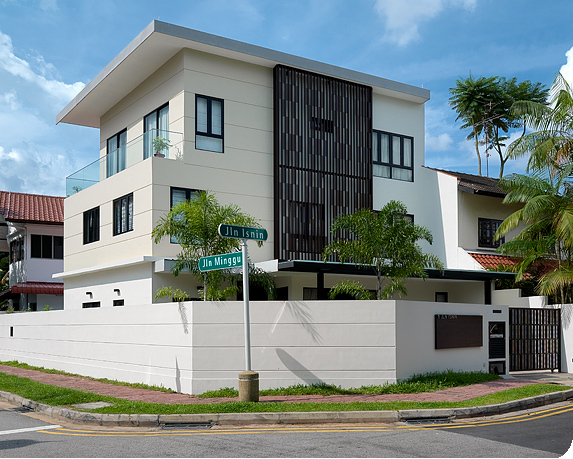 Singaporeans refer to this kind of landed properties as duplexes or semi-ds. The houses are standalone; all look alike and share a common wall. One wall is connected to another house, while no houses are sharing the other wall. Inter terraces houses have both walls of the house joining to two different neighbors’ houses. Corner houses share one wall with neighboring homes. You can entertain your guests here without them getting in your house and messing up your furniture and other fixtures. The yard provides an excellent space for your kids to play in. If you have a dog, this is also an excellent place to run around and exercise. So it’s convenient for you if you have a busy schedule and don’t have enough time to walk your dog around the neighborhood. Do you love to grow your vegetables? You can grow your organic vegetables in the little garden. Landed properties offer much more privacy compared to condos. Therefore, forget about those nosey neighbors. Whether you’re buying a family house or you intend to rent, you’ll get much more space for your money with a landed house compared to a condo. If your lease for your rental is about to expire, perhaps you should consider moving into a landed house. If you’re tired of renting and want a house that you can call your own, the property is also ideal for you. These types of properties are also excellent for those investors that would like to lease or rent out to tenants for income purposes. A landed house in Singapore offers more space both indoors and indoors, not forgetting privacy.